The start of fall semester brings a new wave of energy to the university. Students return to campus, research kicks into high gear and the football team gets ready to compete. 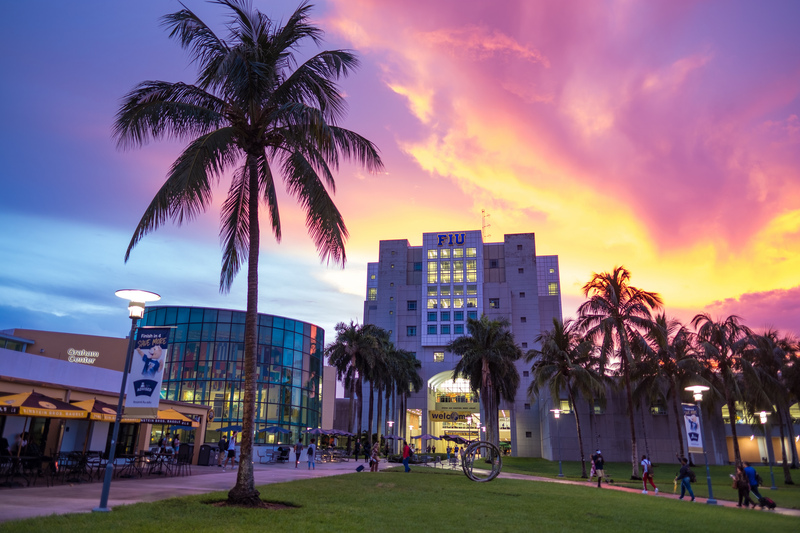 Here are just a few of our favorite moments from August, as captured by FIU photographers Doug Garland, Ben Guzman and Eduardo Merille. 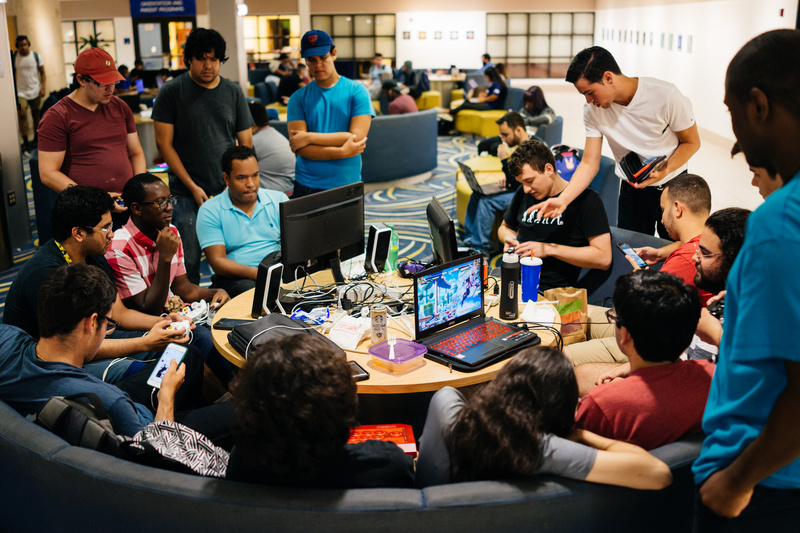 The piano lounge in Graham Center is a hot spot for computer gamers. Photo by Eduardo Merille. Thirst for Science: The Department of Biomedical Engineering hosts monthly presentations in hip South Florida locations to let everyone enjoy a drink while learning about the life-impacting research happening at FIU. 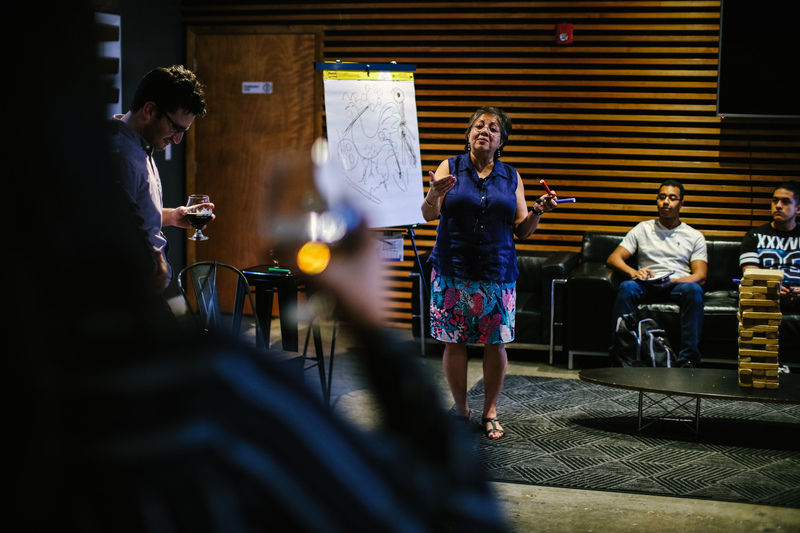 In August, Professor Ranu Jung talked about circuits in the human nervous system at M.I.A. Brewery. 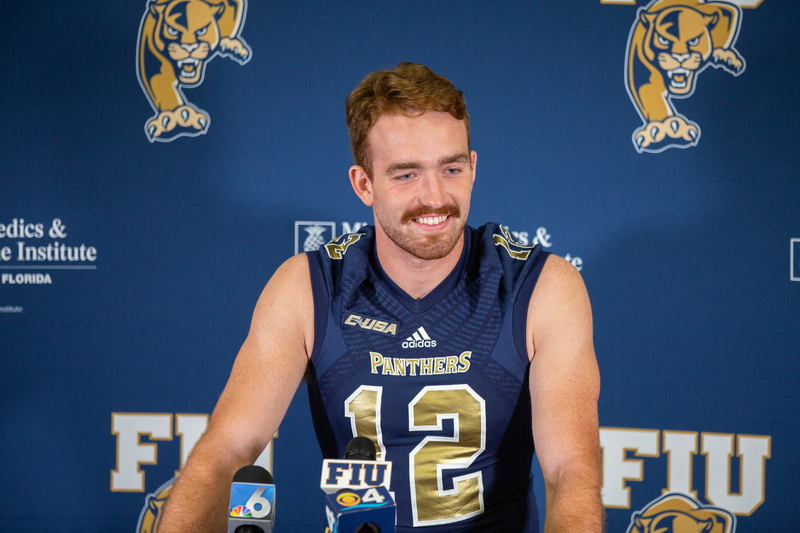 Graduate transfer and quarterback James Morgan addresses the media at FIU football’s media day. The new quarterback is in a competition with junior Christian Alexander for the starting job. Photo by Ben Guzman. 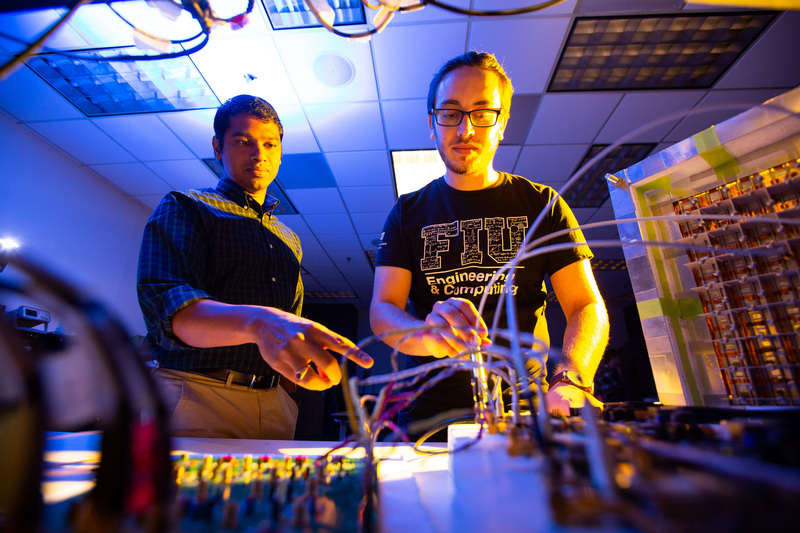 Satheesh Bojja Venkatakrishnan and Rimon Hokayem conduct research in the RF Communications, Millimeter-Wave and Terahertz Laboratory.. Photo by Doug Garland. 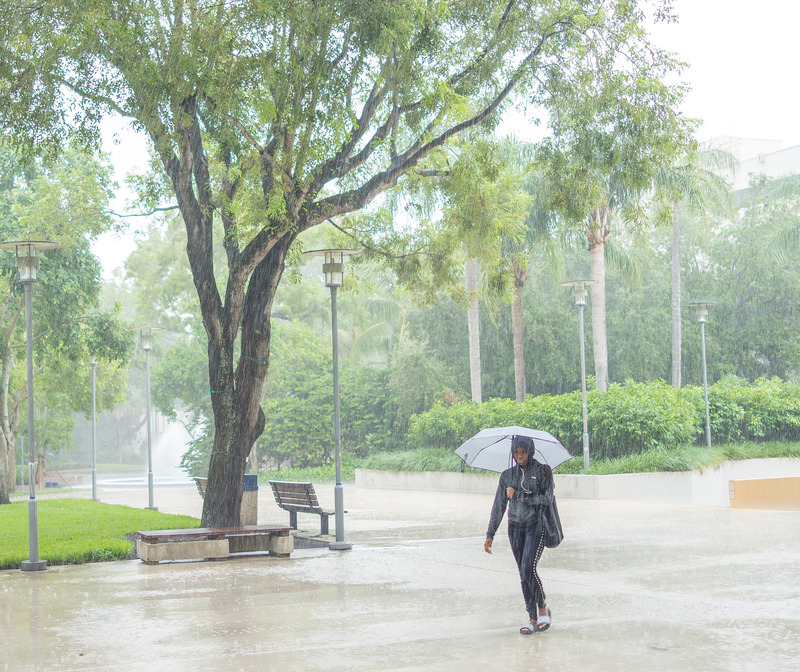 The beginning of fall semester is still the wet season in south Florida. Bringing an umbrella is advised. Photo by Eduardo Merille. 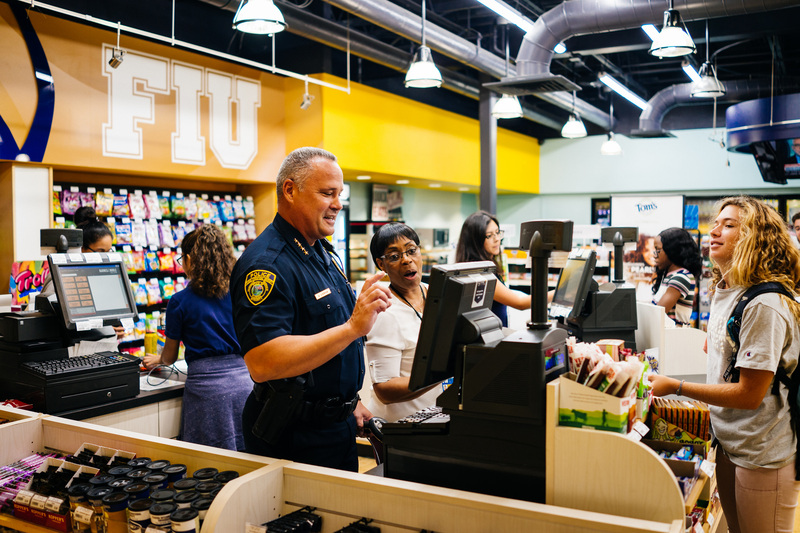 FIU police chief Alexander Casas steps behind a cashier at Recharge U in Graham Center. Photo by Eduardo Merille. Summer showers at sunset can make for some incredible views on campus, like this one over Green Library. Photo by Eduardo Merille.